The difference between a good condo investment and a great condo investment can be in the quality of the amenities offered. Before you invest in a Toronto condo project, make sure the building hosts a good suite of condo amenities. 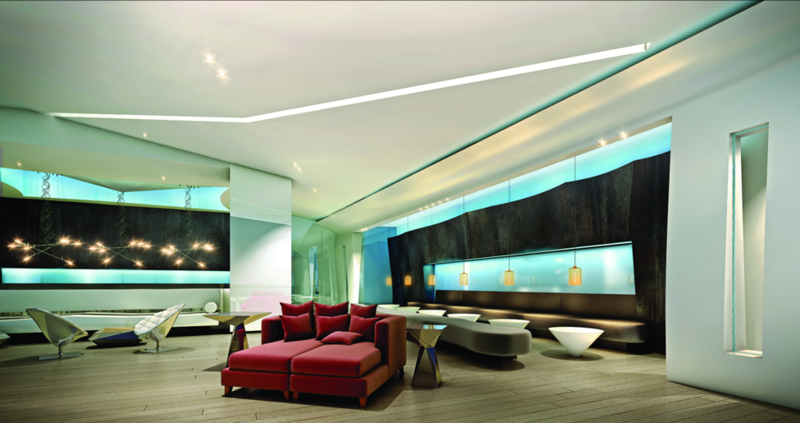 Most condo buildings offer their own suite of shared facilities. The exercise room, party space, barbeque patio, and such should be expected. However, many new launches and pre-construction condos in Toronto have taken the standard amenity and turned it into something amazing – or something completely new and unique. A good suite of amenities, won’t deliver as much as excitement to renters and future buyers if they aren’t able to compete with the buildings being constructed today. There is nothing better than a warm sunny afternoon, to enjoy some quality time by a great rooftop pool in your condo – especially if that pool has a great view of the city. 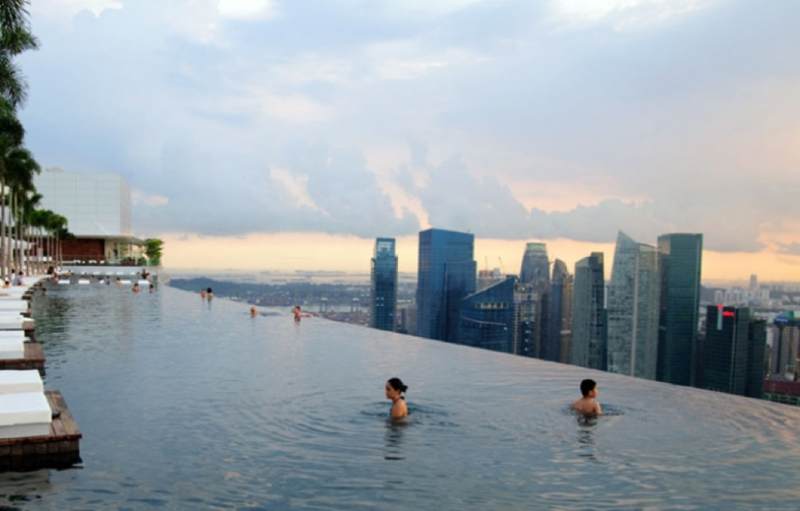 Nothing excites residents more than an infinity pool. An infinity pool is one that gives the impression that the edge of the pool is merging with the surrounding landscape. In a previous blog post, we touched on how the Aqua 66 Pool from YC Condos will be one of the world’s most impressive rooftop pools. Unfortunately, the under construction units at YC Condos are sold out, but there are still several other condo pools in Toronto that are turning heads. Some have the perception that pools are often overcrowded and most people aren’t willing to share their swim with others. 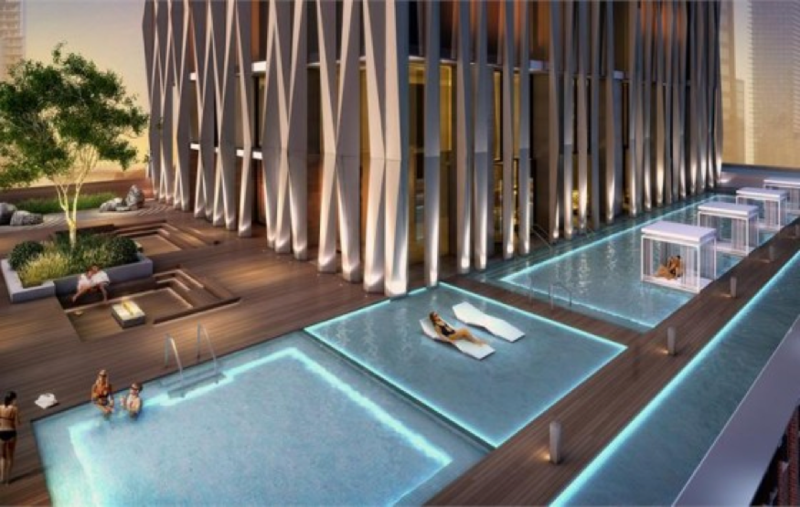 The multi-pool terrace at 1 Yorkville Condos will help to assure every resident can enjoy a nice, private, relaxing swim. People used to have the perception that just because they live in a condo, they can’t host parties. Condo developers over the last couple years have gone above and beyond to make sure that residents know their condo is a great place to host a function. Condos today provide party rooms, screening rooms, games rooms, bar area & lounge, and more. Some buildings offer better entertainment that rival some of Toronto’s best bars. Unless there is a great 24/7 fitness centre within a stone’s throw of the condo, having a fitness centre in the building is crucial. The condos buildings today don’t just stop at a couple treadmills and a collection of weights. Today’s new generation of condo dwellers are looking for fitness centres that offer all the equipment found in a typical full-service gym facility. Rodeo Drive Condos in Don Mills for example, a state of the art fitness centre equipped with a sauna, full suite of gym equipment, not to mention an outdoor pool and hot tub to cool down after the workout. The best condos are the ones that have all the little details figured out. Some of these following amenities should go without saying. Forbes released an article not so long ago detailing the some of the most outrageous luxury amenities. Private jets, helipads, and sky garages were some of the craziest on the list. Insane? Yes. Useful? Not to most people. While lavish luxury amenities can wow some people, the best amenities like the ones listed above, are the ones that serve an actual purpose. Some developers have introduced more unique amenities into their building in recent years. The Daniels Corporation, for example, has made strides in the past to bring amenities that cater to their residences unique lifestyle. Amenities like basketball courts, gardening plots, dog-washing and grooming areas and rock-climbing walls have been added to their portfolio of unique condo amenities. Cosmos Condos 3 in the Vaughan Metropolitan Centre is being fit with an observatory to gaze at the stars. With fewer people being able to afford homes in the GTA and more people looking to take residence in a Toronto condominium, we could expect to see the demand for more unique amenities to continue.